“Through God’s work, we learn how to live in cross-cultural environments. 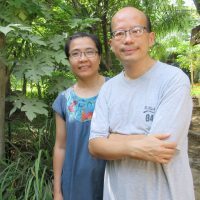 It is always a challenge to communicate and work with people who come from different cultures and backgrounds.” Desmond and Cathy Chan found their passion for cross-cultural ministry through Bible translation a little over a decade ago when they read a Wycliffe Hong Kong publication called Translation Messengers. They joined a seeker’s group in 2008, and through the encouragement of a Wycliffe member, they joined soon after with the hopes of serving God by helping others know Him through reading the Bible in their mother tongue. The Chans learned about Dallas International University through an alumnus and came here for their initial linguistic training five years ago. They have been so grateful for opportunities here for personal enrichment, such as being able to hear the life stories of others, praying weekly with a prayer partner, and time for fellowship through things as simple as rides to the grocery store. Afterward, they went to South Sudan serving in Bible translation ministry for four years. This year, they returned to Dallas International to complete their MA’s in Applied Linguistics and Translation. They look forward to a second-term field assignment in South Sudan after they finish their program in 2019, encouraged by the hospitality and kindness of the Dallas International community. 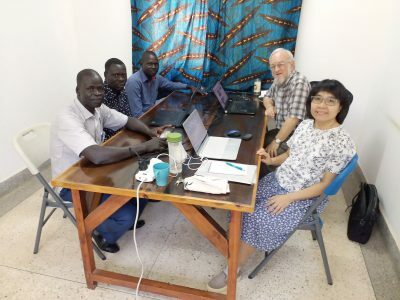 You can pray for Desmond and Cathy by asking for sustainable peace and development in South Sudan, sufficient health and resources for them to stay long-term in their assignment, and a long-term commitment of the language community in desiring God’s Word. “The most impactful thing for me during my time overseas was seeing several of my friends –former Muslims –who had left so much to follow Christ.” Jay Daniel* watched his friends endure trials after deciding to follow Christ and still remain faithful, and he remarks that for him it is “the only thing that gives hope to work in places of such despair as refugee camps.” Jay experienced a taste of this refining fire during his work as a community liaison in refugee camps in Greece. Jay felt the call to overseas work when he was twelve years old, and later he came to Dallas International at the suggestion of Wycliffe USA. 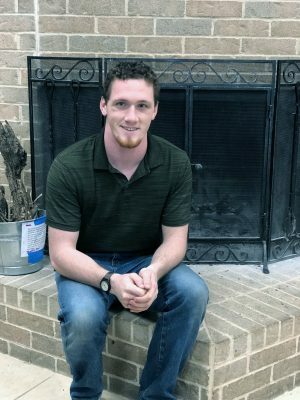 He graduated from Dallas International in 2017 with his BA in International Service with a minor in linguistics and began traveling back and forth consistently to Greece, working in a refugee camp. His undergraduate cross-cultural communication training at Dallas International served him well in this multi-cultural setting. Jay says that he “was glad to know the difference between how different nationalities make decisions because [he] learned experientially very quickly how changing one cultural group’s minds would be done differently from those of another group’s.” The refugee camp was for Jay a “sociolinguistic melting pot,” and his training in phonology and religious beliefs of various groups equipped him for handling life in this setting well. Jay returned to Dallas International early this spring to pursue his MA in Applied Linguistics, which he aims to complete by the end of 2019. He hopes to serve in West Asia or the Middle-East full-time. Jay reflects on his time of undergraduate studies here with thankfulness for the many people he knew were always praying for him. As he works to complete his studies, he asks for prayer that he would grow in depth of love for God and that he would be given wisdom about how to serve Him best. On occasion our students have unexpected expenses – like car repairs and dental or medical bills. Since most of them live on very tight budgets, these unexpected expenses can cause stress. Our Student Benevolent Fund was created to help pay for these unexpected expenses. The fund currently has a balance of less than $350. Would please consider a contribution to the Student Benevolent Fund and bless our students when they have a special need? 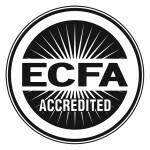 Dallas International University is accredited by the Southern Association of Colleges and Schools Commission on Colleges to award baccalaureate, master’s and doctoral degrees. 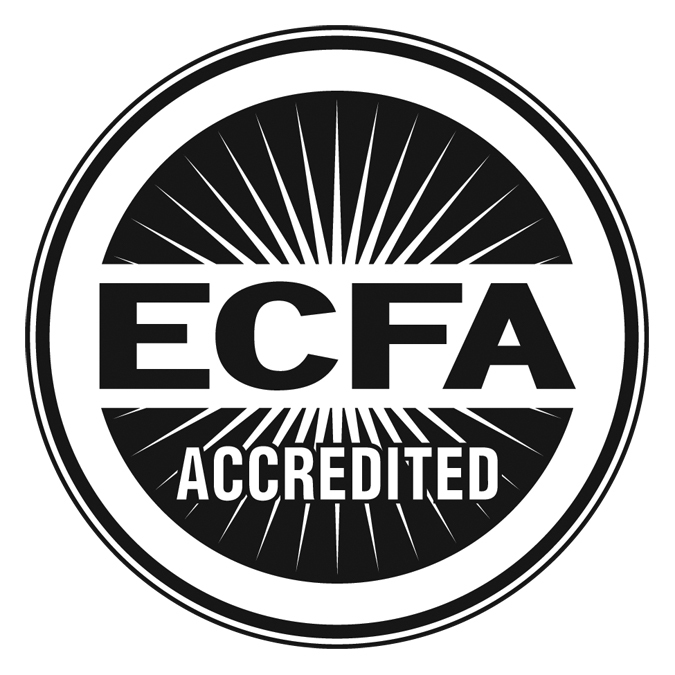 Contact the Southern Association of Colleges and Schools Commission on Colleges at 1866 Southern Lane, Decatur, Georgia 30033-4097 or call 404-679-4500 for questions about the accreditation of Dallas International University.